Wall Of Valor - Run for the Fallen New Hampshire, Inc.
As you give tribute to our New Hampshire heroes please remember others who have given the ultimate sacrifice throughout history. Regardless of war or conflict or branch of service, we ultimately run for them all, honoring their service and sacrifice and remembering that they each gave up a future so that we could have ours. We give tribute to them by name wherever possible and to the sacrifice of the families they left behind. We encourage you to visit our Heroes' bio pages where you will find stories of these special Heroes, their families and friends. There are many more photos and video dedications, as well as links to scholarships and foundations in their honor. Click a Hero's photo to visit their bio page. 21, of Strafford, NH; killed during a squad live fire exercise at Ft. Stewart, GA.
on combat patrol near Jalalabad, Afghanistan. 24, of Landaff, NH; killed in action when an improvised explosive device detonated near his patrol vehicle in Mosul, Iraq. 22, of Barrington NH; died in a cargo truck training accident at the Army's Yakima Training Center. 24, of Milford, NH; died of natural causes at Fort Eustis. 47, of Salisbury, NH; died from a pulmonary embolism triggered during his flight home from a tour of duty in Kuwait. 23, of Henniker, NH; killed in action when his unit took small-arms fire in Korengel, Afghanistan. 29, graduate of Timberlane Regional High School, Plaistow; killed in action by enemy action in Anbar province, Iraq. 23, of Pelham, NH; killed in action when an improvised explosive device detonated near his M1A2 tank during combat operations in Baghdad, Iraq. 48, of Merrimack, NH; died as a result to our country. 29, of Durham, NH; killed in action during assault on al Qaeda suicide bomb cell in Diyala Province, Iraq. 25, of Nashua, NH; died as a result of service to our country. 23, of Stratham, NH; died as a result of service to our country. Army Sergeant Angelo L. Lozada Jr.
combat operations in Ramadi, Iraq. 24, of Mexico, ME; killed in action when an insurgent attacked his unit in Pachir Wa Agam, Afghanistan. 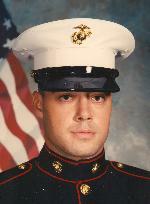 28, of Manchester, NH; killed in action by when an improvised explosive device detonated near his HumveeKarma, Iraq. ​Al Udeid Air Base, Qatar. 22, of Newport, NH; killed in action when an improvised explosive device detonated near his unit during combat operations in Samarra, Iraq. 25, born in Candia NH; killed in action supporting combat operations in Khash, Afghanistan. 45, of North Hampton, NH; died as a result of service to our country. Marine Lance Corporal Peter "PJ" Sora, Jr.
19, of Londonderry, NH; died during a Humvee rollover training accident at Twenty Nine Palms CA while preparing for deployment to Iraq. 31, of Bedford, NH; killed in action when insurgents attacked his unit using small-arms fire at Firebase Wilderness, Afghanistan. 34, of Laconia, NH; killed in action while his unit was conducting combat operations in Kunduz province, Afghanistan. 30, of Bradford, NH; died in a dive training exercise off the coast of Key West, FL. 22, of Salem, NH; killed in action by enemy fire in Bayji, Iraq. 21, of East Kingston, NH; killed in action by small-arms fire in Kherwar, Afghanistan. Marine Private First Class Robert B. Buskey, Jr.
Army Specialist Michael B. Cook Jr.
enemy forces attacked his unit in Baghdad, Iraq. 19, of Waterville Valley, NH; killed in action supporting combat operations in FOB Nunez, Afghanistan. 30, of Plymouth, NH; killed in action when an improvised explosive device detonated near his Humvee during combat operations in Baghdad, Iraq. 45, of Conway, NH; killed when the military vehicle he was riding in rolled over in Samarra, Iraq. 20, of Derry, NH; killed in action while conducting combat operations in Helmand province, Afghanistan. 25, of East Hampstead, NH; killed in action when an improvised explosive device detonated near his unit in Zaganiyah, Iraq. 36, of Londonderry, NH; died as a result of service to our country. 36, of Exeter, NH; killed in action when an MH-47 Chinook helicopter crashed while ferrying personnel to a battle against militants in eastern Afghanistan. 28, of Salem, NH; killed in a training accident at the Land between the Lakes Recreational Areas in Golden Pond, KY.
21, of Derry, NH; died as a result of service to our country in Bagram, Afghanistan. 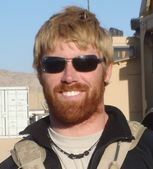 26, of Peterborough NH; killed in action by enemy small-arms fire in Ghazni province, Afghanistan. 19, of Andover, NH; died from injuries sustained from a non-combat-related vehicle incident in Taji, Iraq. 28, of Manchester, NH; killed in action while supporting combat operations at Camp Bastion, Afghanistan. 26, a 2002 graduate of Timberlane Regional High School in Plaistow; killed in action supporting combat operations in Helmand province, Afghanistan. Army Private First Class George R. Roehl Jr.
21, of Manchester, NH; killed in action when an improvised explosive device detonated near his vehicle and he came under small arms fire during combat operations in Taji, Iraq. 43, of Nashua, NH; died in Shubai Port Kuwait, when he was struck by a forklift. 27, of Littleton, NH; killed in action when his vehicle hit an improvised explosive device in Bagdad, Iraq. 22, of Wolfeboro Falls, NH; killed in action when his Humvee struck an improvised explosive device while on mounted patrol in Taji, Iraq. 25, of Gilmanton, NH; killed in action when an improvised explosive device detonated near his Humvee during combat operations in Baghdad, Iraq. 23, of Derry, NH; died of natural causes at Womack Army Medical Center at Fort Bragg, NC. 39, of Franklin, NH; killed in action when his vehicle struck an improvised explosive device and his patrol was engaged in a small arms fire attack in Kandahar, Afghanistan. 19, of Peterborough, NH; killed in action during a hostile incident while supporting combat operations in Helmand province, Afghanistan. 23, of Hillsborough, NH; killed in action when the CH-53E helicopter he was riding crashed near Rutbah, Iraq. Community Hospital, West Point, NY. hit an improvised explosive device and fell from a bridge in Balad, Iraq. 23, of Salem, NH; killed in action when an improvised explosive device that his explosive ordnance disposal team was acting to neutralize detonated in Samarra City, Iraq. 31, of Concord, NH; died in a parachute training exercise at DeLand Airport, FL. 26, of Hampton, NH; died of natural causes at Fort Hood, TX. 21, of Salem, NH; killed in action while conducting combat operations against enemy forces in Anbar province, Iraq. 23, of Kensington, NH; killed in action when insurgents attacked his unit with an improvised explosive device in Kandahar, Afghanistan. 21, of Concord, NH; killed in action when an improvised explosive device detonated near his vehicle in FOB Shank, Afghanistan. 28, of Lawrence, MA; killed in action by injuries sustained when his unit was attacked by enemy forces using indirect fire in Ramadi, Iraq. 21, of Keene NH; died as a result of service to our country. 23, of Gorham, NH; died of natural causes while serving in Ramadi, Iraq. 24, of Sanford, ME; died of natural causes at Camp Alamo, Afghanistan . 20, of Stratham NH; died in a helicopter crash during a training exercise in NY. 28, of Marlborough NH; killed in action when his helicopter crashed during combat operations in Paktika province, Afghanistan. 28, of Manchester, NH; killed in action when insurgents attacked his military vehicle with an improvised explosive device in Tsagay, Afghanistan. 22, of Lyman, NH; died of natural causes at Fort Benning.